WECORadio.com provides podcasts of each high school basketball broadcast. Click the play button below on the game of your choice to listen to the Games Of The Week featuring Keith Adcock, Andrew Knight, and Brandy Lamance. 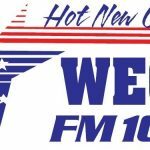 WECO’s High School broadcasts and podcast are presented by Citizens First Bank with five area locations to serve you, including Wartburg, Oneida, Harriman, Oliver Springs and Oak Ridge.